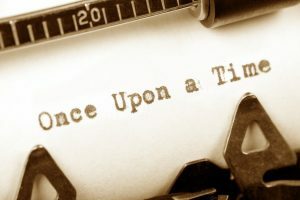 Writing stories that are not your experience… – CPA Theatricals, Inc. Writing a story that is not your experience….. The other musical that I am developing is a show created for middle school students to perform. It is called GIRLHOOD, and it will tell the stories of girls’ experiences in middle school and beyond, ending up with their graduation from high school. But, what do I know about being a girl? (Someone actually said that to me!) And, of course, they are right! I know nothing! So, how am I writing the stories? 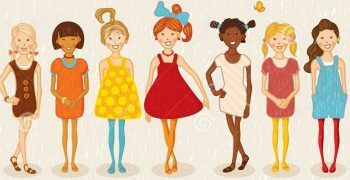 I am researching by doing interviews — Interviews with girls age 10-21. I have already interviewed college girls, high school girls and a LOT of middle school girls. And what I have learned has blown my mind! I also interviewed several parents of these girls, but I have learned they have a VERY different experience than the girls themselves. So I have decided to stick with interviewing only the girls. These interviews are not easy and it sometimes takes a while. But when the floodgates open – bam! Sometimes I only get one small tidbit from an interview, and I add that tidbit onto others to create a story. Sometimes I get many ideas from one girl – those interviews are like gold. They give me insight into a character that I can create and help me highlight very specific aspects of their lives. Oh and I don’t do the interviews alone. I have another producer along with me – almost always a woman. It helps make the girls (and their parents) comfortable, and the other producer helps guide the interview in topics like pop culture. “What are the top three songs on your playlist right now?” “What do you dislike most about Snapchat?” These are the questions we start with, then, I can ask other specific questions. WOW….blew my mind. I have more interviews on Sunday. Wish me luck! « The first reading of our Christmas musical!